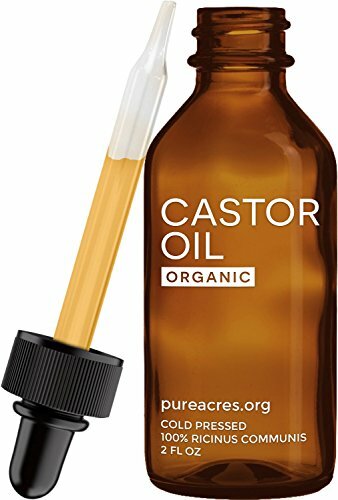 Premium Castor Oil 2Oz (60ml) USP grade organic, cold pressed and pure hexane free carrier oil. Great for eyelashes, hair growth & treatment, eyebrow and skin. 100% Money Back Guarantee. Regent Naturals Castor USP grade Oil 2Oz is pure and natural, high quality, hexane free, Vegan and Kosher Certified which gives you all the confidence to trust our product. Its versatile and can serve you in many ways such as; Encouraging your hair growth and conditioning hair Great for hair treatment, and gives your hair a shine Growing longer and thickening eyelashes as well as eyebrows Moisturizing skin hence delaying skin aging Works well for dry skin and perfect for sunburns Good for making homemade hair masks Great for scalp conditions such as dandruff and Much more. We at Regent Naturals guarantee customer satisfaction with our Castor USP grade Oil, and take a bold step to include our castor oil in your beauty and home regiment and you will never go wrong. Remember we offer 100% Money Back Guarantee, and if you are unhappy with our product for whatever reason, just get in touch with us for refund. Get ONE NOW!